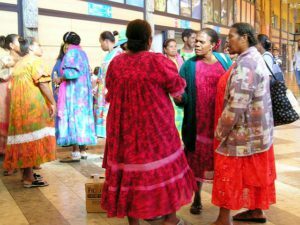 Let’s continue our exploration of New Caledonia with a quick tour of the islands and what they have to offer. New Caledonia is actually a piece off of the ancient continent of Gondwana, which included parts of Africa, Antarctica, Australia, South America and the Indian Subcontinent. This sets New Caledonia apart from most of the South Pacific islands, many of which are a result of volcanic activity in more recent times. The long biological history of the area has created a fascinating and diverse ecosystem. Mountains, forests, beaches, lagoons and reefs can all be explored along with Kanak and French Colonial Culture. The main island is Grand Terre, which stretches in a Northwest to Southeast direction, and is usually not more than 30 to 40 miles wide. 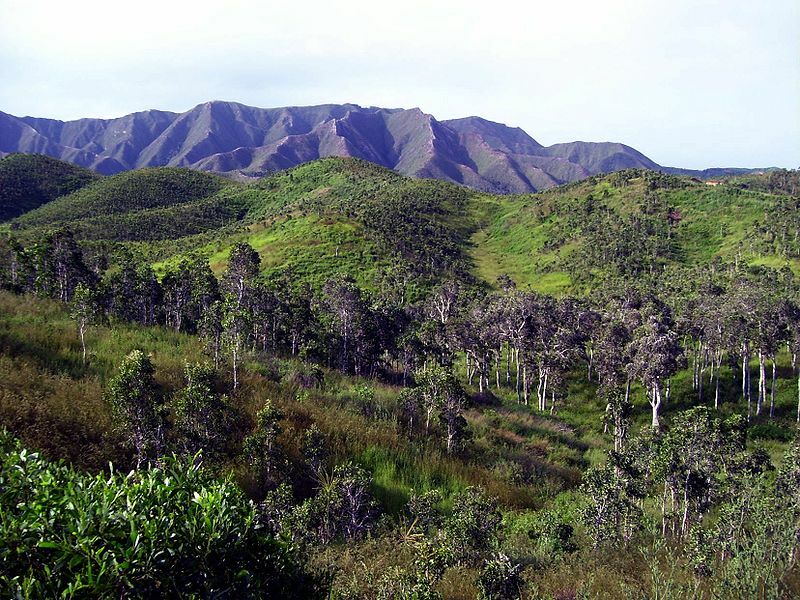 The interior is mountainous, the western part is made up of somewhat drier plains and the east is characterized by lush tropical forest. 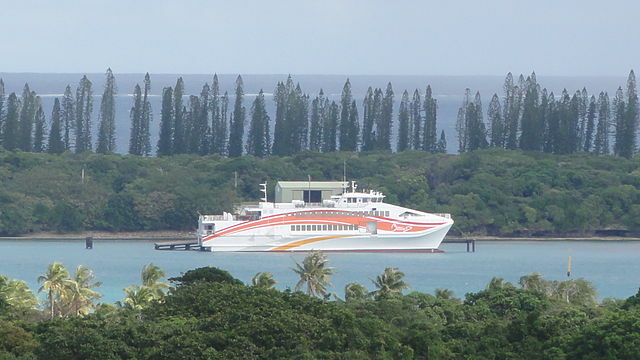 Nouméa, which sits on a peninsula, is the cosmopolitan capital of New Caledonia. The city’s population is about 100,000, which constitutes about 65% of the overall population. Some of the highlights of Nouméa include the beautiful Cathédrale St. Joseph, opened in 1888, The Musée de Nouvelle-Calédonie, which features regional artifacts and culture, the newly renovated Maritime Museum, which highlights explorer François de la Pérouse, the Tjibaou Cultural Centre, designed by architect, Renzo Piano, which showcases Kanak culture, the Aquarium, where one can see the Napoleon Fish, nautilus, sea snakes and more, and the beautiful Zoological and Botanical Gardens. Enjoy fine French cuisine at a restaurant in the Latin Quarter, or visit one of the many bistros at the waterfront. The tree shaded and spacious Place des Cocotiers is the heart of the city and a great place to unwind at a cafe or people watch. Le marché (market) is to be found by the marina and offers freshly caught fish, fruits and vegetables, flowers and locally made crafts, jewelry and clothing. The beaches are also close by. Both the Baie des Citrons and Anse Vata are within easy reach, family friendly and have bars and food options as well as beautiful waters and white sand. Consider taking a water taxi to one of the many small islands around Nouméa and spend the day snorkeling, diving or just taking a boat tour. Some of the islands have snack bars, and dive shops. Nouméa celebrates Mardi Gras in February, Carnival in August and also has an Oil Drum Regatta in October, Christmas Lights in December, and, of course, a Giant Omelette Festival in April. 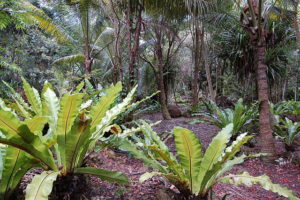 Traveling in the far south of Grand Terre, you will find remote wilderness areas which entice the visitor with excellent hiking, mountain biking and kayaking opportunities. The Parc Provincial de la Riviére Bleue is one of the few places where you could still spot the kagu, the endangered bird which is the nation’s symbol. Rainforest, waterfalls and a surprising number of old churches make this region well worth exploring. For panoramic views of the area, hike up one of the trails to Mount Koghi. Whale watching is also a must between the months of June and September. 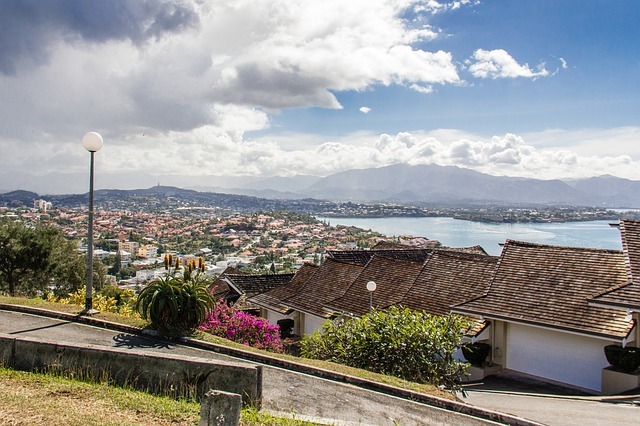 The La Foa region, located on the west coast, is home to several mountain villages, including Farino, a giant fern park, and the lush valley of Sarraméa, perfect for walking, biking or horseback riding. Sarraméa is also home to an annual coffee festival in August. 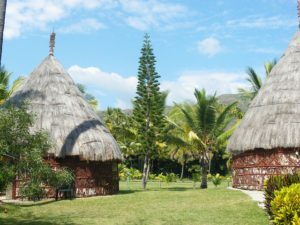 The Teremba Fort allows one to experience the history of the New Caledonian penal colonies. 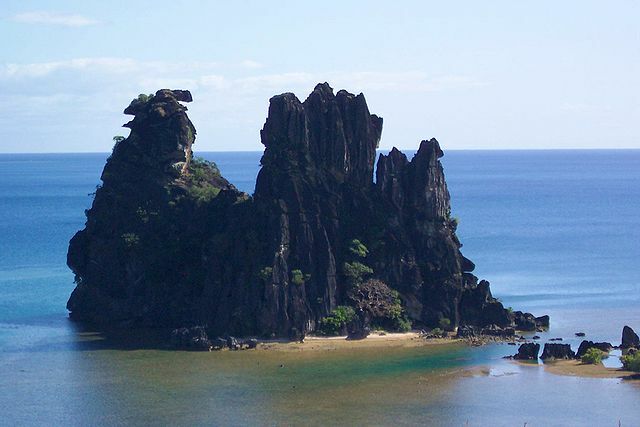 New Caledonia is known for its numerous rock formations, two of which can be found at Bourail- La roche percée and Le bonhomme (the pierced rock and the gentleman). Continuing northwards past the cattle ranches of the northwest coast, we reach the far north. 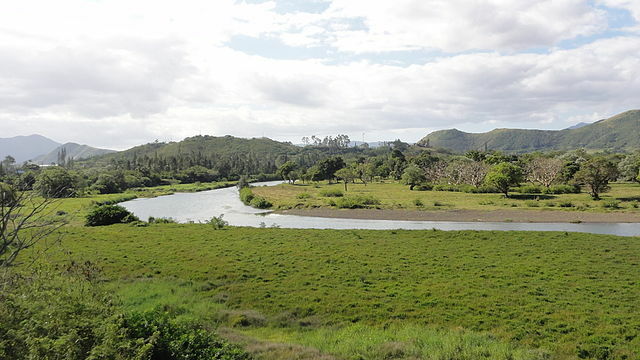 A haven for deer and wild horses, this region is also a world destination for bonefish fly fishing. 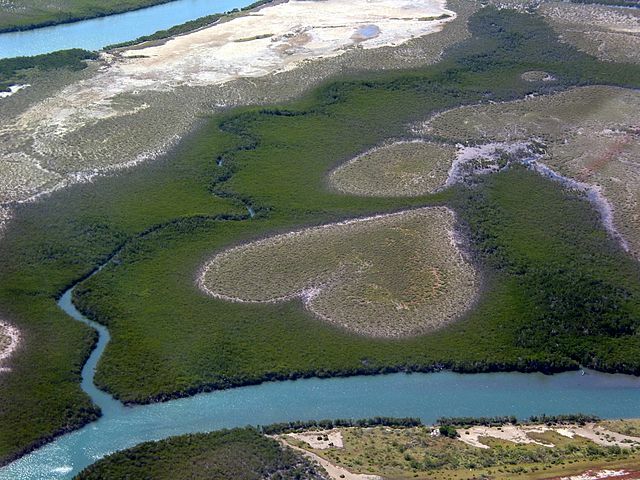 Heart of Voh- A natural formation of vegetation that forms an aerial view of a heart, located in the northern part of Grand Terre. An image of the Heart of Voh was featured on the dust jacket of the books ‘The Earth from the Air’ and ‘Earth from Above’ by photographer Yann Arthus-Bertrand. The pretty, untouched coast of the northeast offers wild, stunning scenery, including more rock formations, waterfalls and villages of thatched houses, including Hienghène, the birthplace of Jean-Marie Tjibaou, the assassinated leader of the Kanak independence movement. Besides the many Kanak monuments, there are interesting churches, including the cathedral at Pouébo, with its marble mausoleum of Bishop Douarre, who founded the first Catholic mission in New Caledonia in 1843, and the beautiful church near Mahamet Beach, which is where Captain James Cook first landed. The Loyalty Islands were annexed in 1864 by France, a decade after Grand Terre. They are likely named after a British ship, the Loyalty, which passed through in the late 1700s. 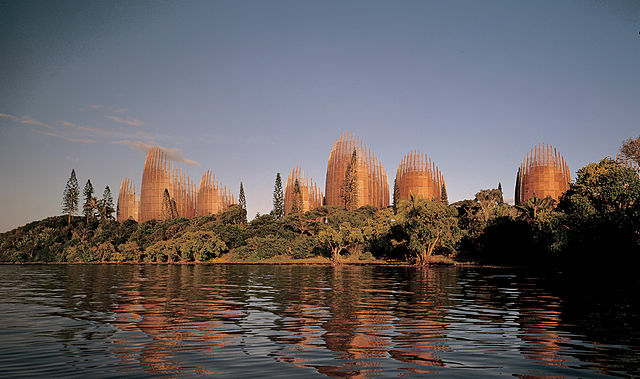 The islands make up one of the three provinces of New Caledonia and have a population of around 18,000 people. 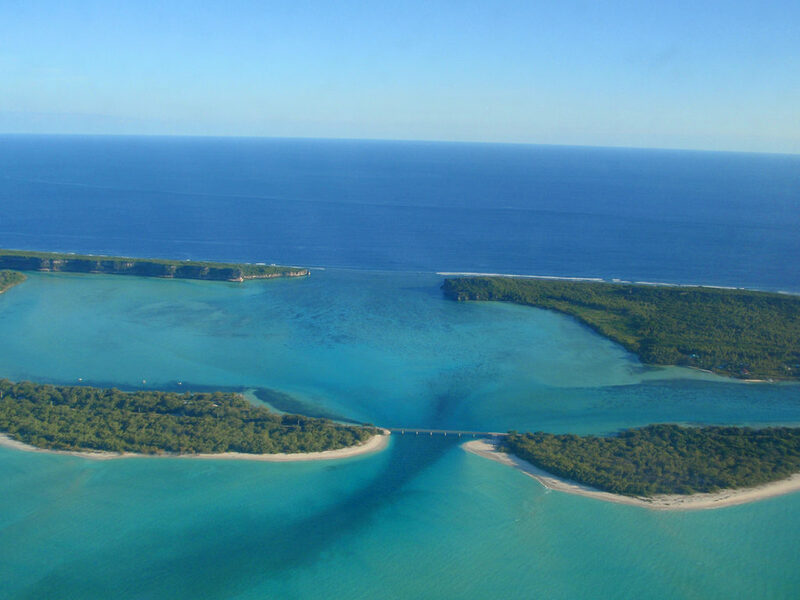 There are six inhabited islands which are divided into three communes, Maré, Lifou and Ouvéa. These sparsely populated islands are graced with pristine beaches as well as hidden caves and deep holes, or natural inland pools. The official language, of course, is French, but each island has its own language. On Maré, explore the towns of Tadine and La Roche, or any of the other small villages that dot the island. The language is Nengoné. The Aquarium Naturelle is a rock pool among some seaside cliffs that is connected to the sea. Trou de Bone is a deep sinkhole containing a lake, and surrounded by lush vegetation. 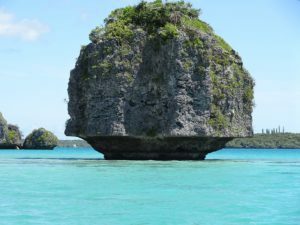 Not only are some of these sinkholes sacred and connected to island legends, but they contain small crustaceans and creatures which are only endemic to these sites. In September, the Loyalty Island Fair takes place. There are also an Avocado and a Snapper Fish Festival. Lifou has sheltered bays, clifftop views, the beautiful Luengoni Beach and nearby grotto. Visit the Chapelle Notre Dame de Lourdes, built in 1898, by climbing a steep hill. This white church topped with a statue of Mary was built by Catholic missionaries and commands stunning views of the bays to the east, south and west. One might even catch a glimpse of the humpback whales that return to the waters each year between June and September. The provincial offices and market are located in the town of Wé. Local festivals include the Fern Festival in April, The Sandalwood and Honey Festival in August and the Vanilla Festival in October. Some of the top attractions of the island of Ouvéa include the Trou à Tortues, or Turtle Hole, where besides turtles, one might catch a glimpse of the Ouvéa green parrot, the Ouvéa Memorial, which commemorates the site where Kanak hero Jean-Marie Tjibaou was among a group of 19 Kanak killed in 1988, as well as a soap factory. 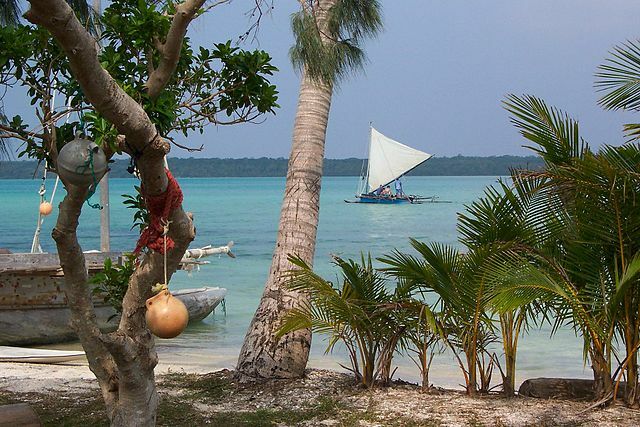 First and foremost, however, Ouvéa is known for its exquisite white sand beaches, such as Fayaoué Beach, its lush tropical scenery and the magnificent turquoise lagoon, which is a designated UNESCO World Heritage site. Another tropical paradise which also has an interesting history is the beautiful Ile des Pins. 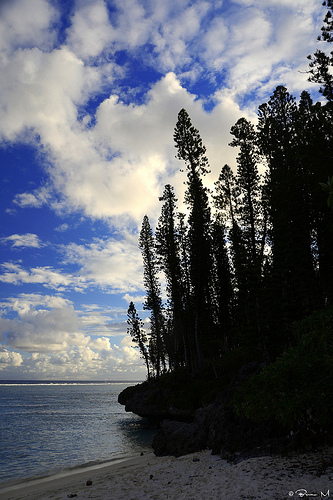 It was named by James Cook on his second voyage after the numerous slender New Caledonian Pines which dot the landscape. In the 1840s, both Catholic and Protestant missionaries and sandalwood traders made their way to this island. A 19th century catholic church stands near the market in the quiet town of Vao. Ile des Pins is known locally as ‘the closest island to paradise’. 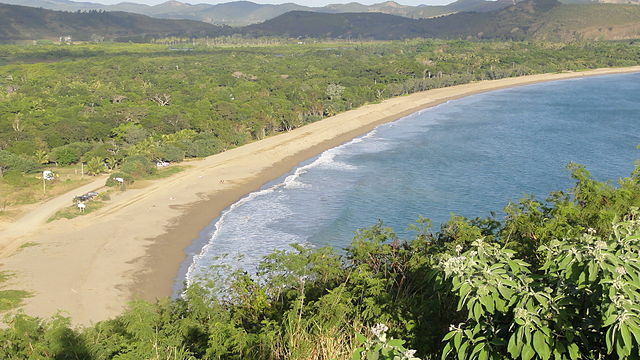 Evidence supporting this designation can be found in the beautiful bays that characterize the island. There are ruins of a penal colony at Kuto Bay. Kanumera, Upi and Oro Bays are highlights as well as the ‘piscine naturelle’, or ‘natural swimming pool’ which has unbelievable snorkeling, the ‘Grotte de la Reine Hortense’ cave, where the wife of a local chief is said to have taken refuge during a months long battle between tribes in 1855, and the Pic N’ga, the highest point on the island, which makes for a nice hike and excellent views. The Ile des Pins fair takes place yearly in May or June. Le Meridien Ile des Pins is a Starwood Hotel property offering 5-star accommodations, for those wanting to take the experience of paradise to the next level.